Brian Ritchie, Director of Wahkohtowin GP Inc.
Brian is a member of Chapleau Cree First Nation and is active in his community on several projects. 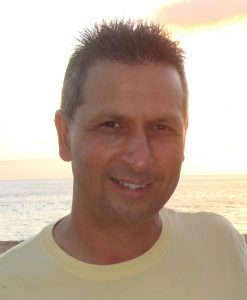 In the new world, Brian has worked for 30+ years in engineering, software development and telecom sales and marketing. He possesses a Bachelor in Mechanical Engineering and MBA but his real education came from hunting, trapping and guiding with his Cree father, and building cottages, repairing automobiles and outboard motors for the family hunting and fishing business. Brian is happily married with 3 children, all of whom have completed university programs, and are pursuing their own passions in aboriginal law, media and entertainment and video game development. As a past-time Brian often blogs about family values and first-hand First Nation stories from his own experience and from recounting stories of others that came before him. Pamela Perreault, Director of Wahkohtowin GP Inc.
Pamela Perreault is a member of Garden River First Nation with family connections to Batchewana First Nation. Her academic and consulting careers have taken her across Canada and around the world in pursuit of knowledge and understanding of Indigenous peoples’ connection with forested landscapes. Between 1997 and 2014 she lived in British Columbia and worked extensively with First Nation communities and organizations on natural resource issues such as; consultation policy development and implementation, forest resource management, land-use planning, non-timber forest resources (NTRFs), community-based research and Aboriginal governance related to lands and resources. She currently works with FSC© as on matters related to the implementation of free, prior and informed consent in the FSC certification context. Pamela has been a research fellow at the University of Auckland NZ, a member of the Forest Sciences Board of the BC Ministry of Forests, a Program Coordinator in the Faculty of Forestry at UBC, a university instructor on Haida Gwaii and at Algoma University. She began her academic career in biology, specializing in freshwater ecology at the University of Waterloo. After working with the Canadian Forest Service in Sault Ste. Marie as a summer student, she returned to university to complete her Masters of Science in Forestry at UBC. She is co-editor of the book Aboriginal Peoples and Forest Lands in Canada (UBC Press 2013). In 2014, Pamela returned to her home community of Garden River First Nation with her husband and son. Pamela Perrault, Director of Wahkohtowin GP Inc.
© 2018 Wahkohtowin Development GP Inc. | Site by Design de Plume Inc.